Minimum 2 pcs. 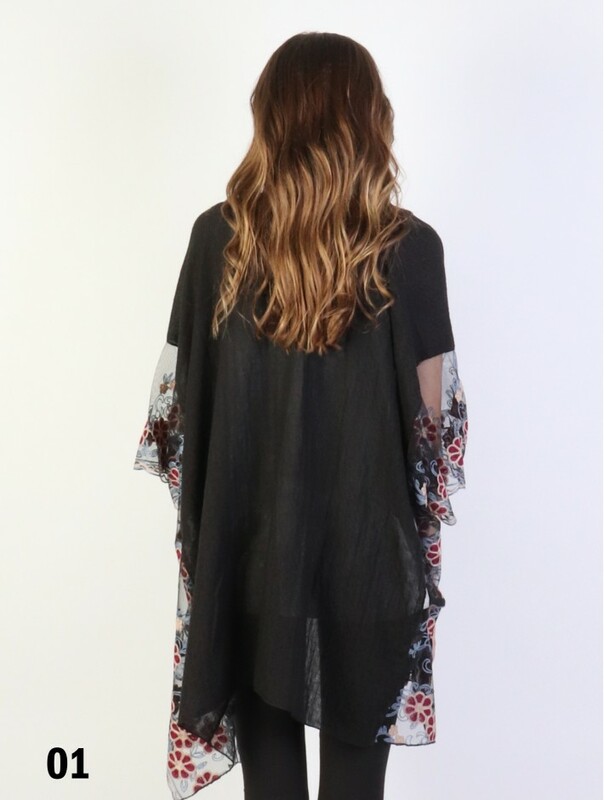 Open front kimono made with light and comfortable material. Sleeves made with elegant embroidered mesh. 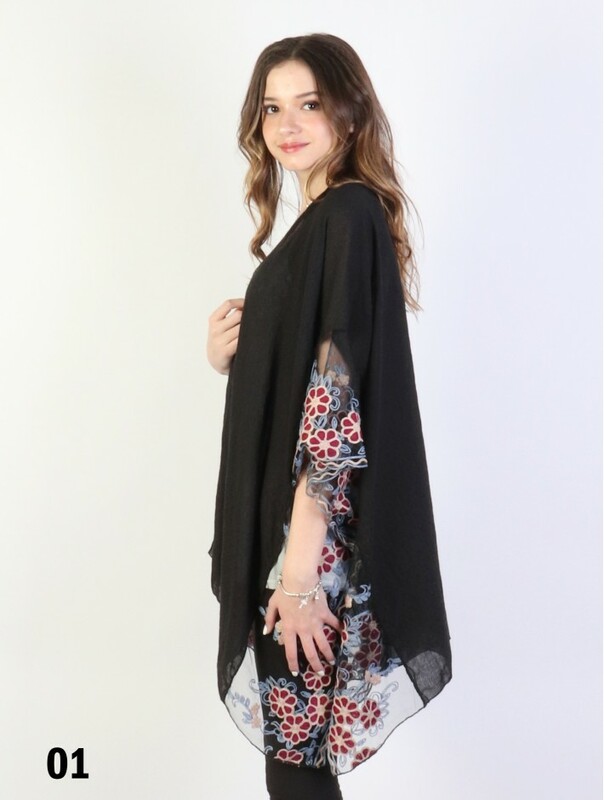 Super trendy for spring and summer seasons. Colour: Black. Size One Size Fits All Under 200 Lbs 43.3" X 59"